The Mark Twain House in Hartford, CT offers Graveyard Shift Ghost Tours: Friday, October 14, 15, 21, 22, 27 and 28; tours step off at 6 p.m., 7 p.m., 8 p.m. and 9 p.m.
"Reported ghostly apparitions, mysterious bangs, and other unexplained phenomena, along with visits from Syfy’s Ghost Hunters and Ghost Hunters Academy, have led us to reprise our popular Graveyard Shift Ghost Tours this year. Hear spooky tales – and learn about Mark Twain’s own interest in the supernatural. The one-hour tour takes guests through all three floors of the house, plus the Servants’ Wing and the spooky basement. Reservations are required, as these tours sell out well in advance." Check out our pass to the Mark Twain House. Mark Twain House and Museum, 351 Farmington Avenue, Hartford, CT 06105, 860-247-0998. Pass Status. This elaborate Victorian mansion with rare interiors by Louis Comfort Tiffany was the author's home for 17 years (1874-1891). 19 furnished rooms including many of Twain's possessions. Pass entitles the visitor to either one complimentary adult admission OR two complimentary child admissions with purchase of one adult admission. 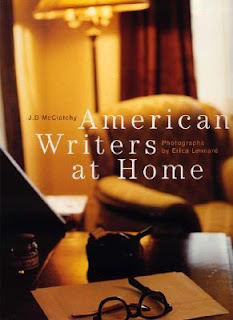 You might also be interested in the book: American Writers at Home which discusses how living spaces reflected personalities and influenced writings. The book contains a chapter on Mark Twain's House in Hartford, CT.